An estimated 25,000 grizzlies reside in Canada, 1/2 of which live in BC. The grizzly bear hunt is one of the most tightly controlled hunts in the world. Only 2% of the Grizzly Bear population (250 – 350) is taken by hunters each year. The grizzly bear obtained its Latin classification Ursus arctos horribilis “bear horrible” from naturalist George Ord in 1815. British Columbia’s wildlife management relies on strong science and sound laws resulting in a tightly controlled hunt. The guide outfitting industry contributes $116 million to BC’s economy each year and creates over 2,000 jobs in rural areas. 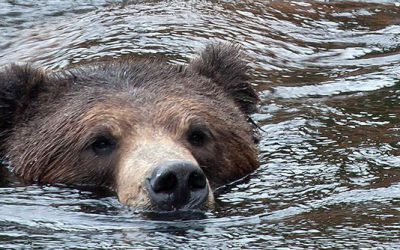 Grizzly Bears currently occupy 89% of their historical range in BC. Scientists estimate 14,000 – 16,000 grizzly bears live in BC. BC’s management of grizzly bears is a story the province should be proud of. An estimated 25,000 grizzlies reside in Canada, half of which live in British Columbia. The provincial estimate of BC’s grizzly bear population has remained in the range of 14,000-16,000 for nearly two decades. British Columbia’s wildlife management relies on strong science and sound laws. We are fortunate to have the resources through the Ministry of Forests, Lands and Natural Resources Operations and Habitat Conservation Trust Foundation to undertake scientific studies, procure accurate population estimates, and understand the appropriate level of consumptive use. Hunting gives wildlife value. 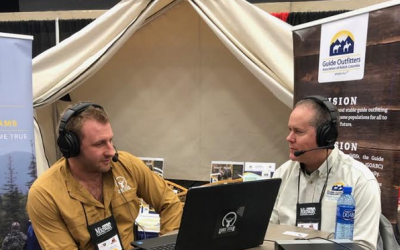 Hunters and guide outfitters have a vested interest in the future of wildlife. As a result, they are passionate about preserving the opportunity for future generations to enjoy them. 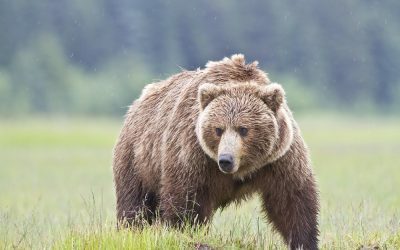 The Guide Outfitters Association of British Columbia (GOABC) is proud to release a grizzly bear management paper that is intended to provide some facts to an emotional debate. Do you have questions about the class action lawsuit against the Government of British Columbia and how it impacts guide outfitters in BC? Click the button below to access a questions and answers document that we hope will help.